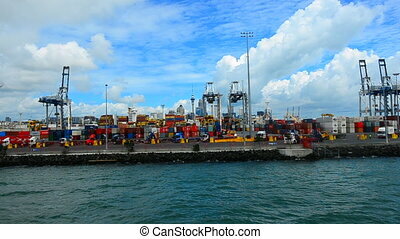 Tugboat mooring at Captain Cook Wharf in Ports of Auckland, New Zealand.Tugboat, small, strongly built vessel, used to guide large oceangoing ships into and out of port. 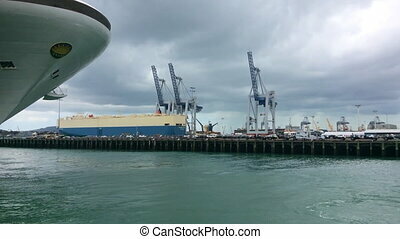 AUCKLAND, NZL - JAN 31 2016:The Port of Auckland. 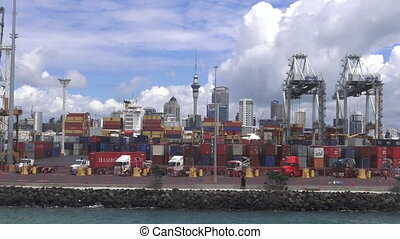 It's New Zealand's busiest port and the third largest container terminal in Australasia.